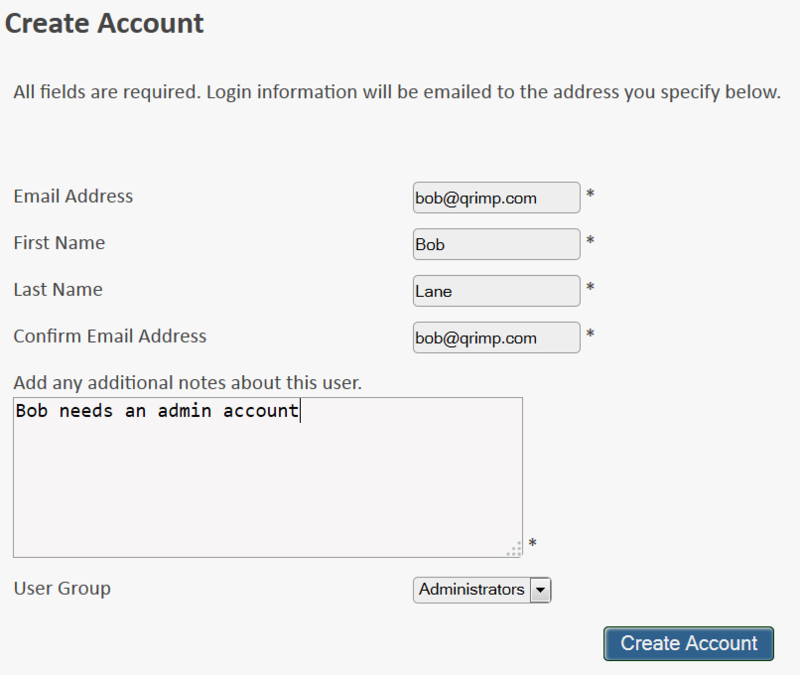 To add a user, go to Admin > Manage Users. 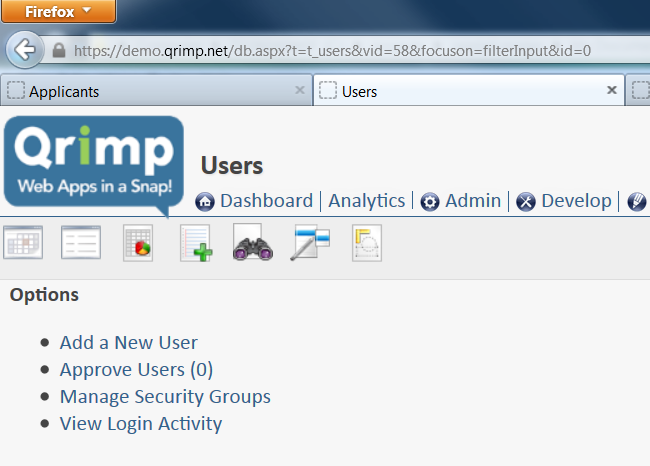 Click the link that says "Add a New User"
Your user will get an email from support@qrimp.com with login and password information on their account. Make sure they check their spam! Repeat this for all users. If you have a large number of users please contact us for information on bulk user creation.